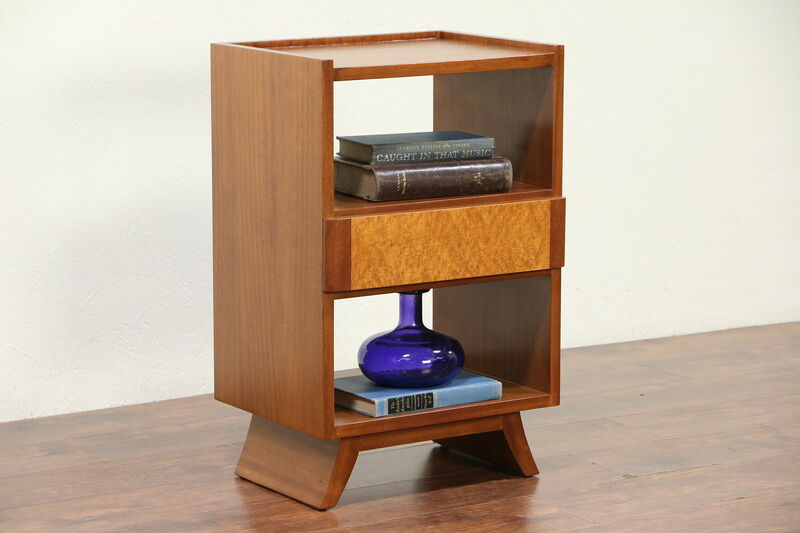 This sleek Midcentury Modern nightstand from about 1960 is mahogany with curly or "birdseye" maple panels. Superior quality vintage furniture, the signature plate reads "R Way of Sheboygan, Wis."
The restored finish is in excellent condition on this American made chest. A drawer has solid oak sides. Measurements are 18 1/2" wide, 15" deep and 29" tall.